Music and dancing go hand in hand, so we thought it would be a good idea to get people dancing to help those with Muscular Dystrophy. Luckily, we have a DJ on our team and what better way to do some FUNdraising than get a venue, play some music and dance away! and all proceeds help us support those in our region. The first in a series of events will be held at The Basement in Belconnen and further events will be scheduled as soon as we have venues locked in. Full details of dates are on the Event page of the website and also on Facebook. Would YOUR venue like to get involved? 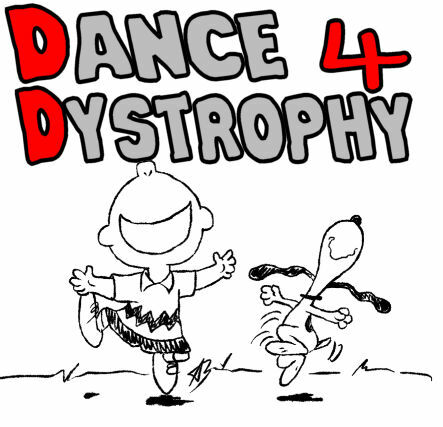 Contact us and we can arrange a meeting to discuss the options – we have a sound system and light show or we’ll use your equipment, no venue too small or large, we’ll have your patrons ready to “Dance4Dystrophy” in no time! Muscular dystrophy is a complex but not well known disease for which there is no cure. In its most severe form it can dramatically limit mobility and shorten lives. There are no specific services in Canberra to assist those suffering from muscular dystrophy. CRMD is working to address this situation, to support people with muscular dystrophy and raise awareness of the condition.